This Yarrow produces clusters of pale pink flowers surrounded by silver foilage. A great accent to your landscape or cut and dried for bouquets. The Appleblossom Yarrow is a drought tolerant plant that has been known to attract butterflies. The Silver Mound artemisia is a mounding plant that has silvery leaves and small yellow blooms. This light colored plant is low maintenance, and drought and frost tolerant. 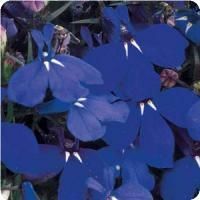 With its compact, uniform habit and its clusters of blue/purple flowers make the Bellefleur Blue perfect for any garden or container. Removing spent blooms will encourage more blooming. The Nana coreopsis is a low maintenance plant that forms compact mounds and blooms continuously from summer through fall. It is know to attract bees and hummingbirds, and it is drought and frost tolerant. Coreopsis Sun Up produces semi-double clear yellow flowers all summer long. Great perennial for your flower beds in full sun. Magic Fountain Dark Blue White Bee features tall spikes of deep blue petals with white centers. Larkspur is know to attract hummingbirds and has beautiful blooms for borders or cut flowers. Magic Fountain Sky Blue features tall spikes of light blue petals with white centers. Larkspur is know to attract hummingbirds and has beautiful blooms for borders or cut flowers. The Barbarini Mix dianthus offers bright multi-colored blooms. This plant is perfect for pots and will produce flowers through September. Removing spent flowers will encourage more blooms. The Barbarini Red dianthus offers bright red blooms. This plant is perfect for pots and will produce flowers through September. Removing spent flowers will encourage more blooms. This full, well-branched plant flowers early and produces rose colored blooms about 5" across. The Prairie Splendor is a drought tolerant plant that will also tolerate heat, humidity and poor soils. The light pink, multipetaled flowers of the Pink Pewter Lamium contrast sharply against the silver foliage, making for a striking addion to any garden. The vibrant purple, multipetaled flowers of the Purple Dragon Lamium contrast sharply against the silver foliage, making for a striking addion to any garden. The white, multipetaled flowers of the White Nancy Lamium contrast sharply against the silver foliage, making for a striking addion to any garden. The Siskiyou is a low growing, drought tolerant plant with delicate green foliage and light, cup shaped blooms. The Missouriensis is a low growing, drought tolerant plant with delicate green foliage and yellow, cup shaped blooms. This silver leaved plant has blue upright blooms and smells like sage. 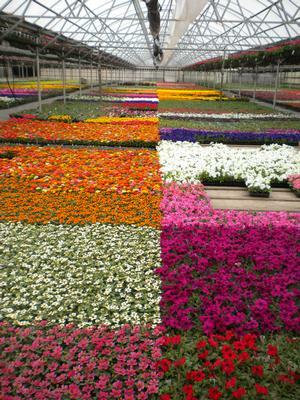 It is drought and frost tolerant. This Russian Sage can reach 30-36 inches tall and 20-38 inches wide its second year of growth. The Goldsturm Black-Eyed Susan has large, deep yellow daisylike flowers with a black center cone. It is drought, heat and shade tolerant and has been known to attract butterflies. 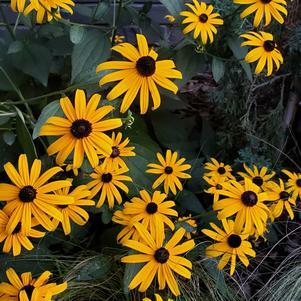 Know as Black Eye Susan this perennial features large golden daisy petals with a dark brown center. Grows best in full sun with well drained soil. The eye-catching mix contains gold, lemon, and rustic colored Black-Eyed Susans. Grows best in full sun with well drained soil. Salvia Black and Bloom makes a big impact with it's dark blue flowers and black stem. This is a very easy plant to grow and handles drought and hot weather well! The Black and Blue Salvia looks much like the name suggests, black stemmed with vibrant blue flowers. Not only will this plant attract the eye, it is also great for attracting hummingbirds and butterflies. The Purple Volcano salvia displays white tipped purple flower spikes all summer long, and has pruple-bronze leaves which turn a deep purple in late summer and fall. The Blue Butterfly Scaviosa has dark green leaves and vibrant blue/purple blooms that flower all season. The Pink Mist Scaviosa has dark green leaves and colorful pink blooms that flower all season. The Blue Spruce Sedum is great for ground cover. Its mat forming habit, blue leaves and yellow blooms make it a striking addition to any garden. The Autumn Joy Sedum produces clusters of pink to rust-red colored flowers on stems that can reach up to 2 feet tall. The Neon Sedum produces clusters of deep colored flowers on stems that can reach up to 2 feet tall. The Dragon's Blood Sedum is great for ground cover. It has green leaves that turn red as temperatures cool, bright red flowers and its mat forming habit makes it a striking addition to any garden. The Red Carpet Sedum is great for ground cover. It has green leaves with red edegs and will turn red as temperatures cool. Bright red flowers and its mat forming habit makes it a striking addition to any garden. The Tricolor Sedum is great for ground cover. It has a mat forming habit, green leaves with pink and white, and light pink flowers, making it a striking addition to any garden. This drought tolerant plant is easy to grow and care for, and produces blooms of pink, red or white. It spreads through offshoots and typically blooms between March and June. The Fuzzy Wuzzy has silver white leaves and grows spikes of pink to red flowers in early summer. 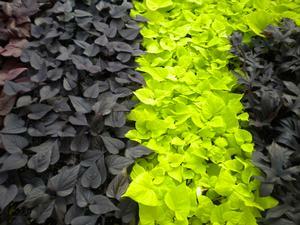 It is good as a ground cover and a very popular choice for edging pathways or gardens. Homestead Purple features clusters of purple flowers above a green spreading foliage. Prefers full sun and moist well-drained soil. Homestead Red features clusters of red flowers above a green spreading foliage. Prefers full sun and moist well-drained soil. Ther Red Fox Veronica forms spikes of bright red/pink flowers and clumps of green leaves. This plant can grow up to 18 inches tall and is known to attract butterflies and birds. Veronica Royal Candles forms spikes of bright blue/purple flowers and clumps of green leaves. This plant can grow up to 24 inches tall and is known to attract butterflies and birds.